CAREER HIGHLIGHTS Flewitt joined McLaren Automotive as chief operating officer in 2012, two years after the company was created as a separate road car division of the McLaren Formula One team. 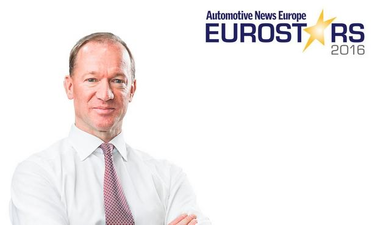 Prior to that he worked at Ford for nine years, rising to the position of head of manufacturing for Ford of Europe. Before that he held senior manufacturing roles at TWR Group, Rolls-Royce and Bentley. He was promoted to CEO of McLaren in 2013. REASON FOR WINNING: Under Flewitt, McLaren Automotive has achieved what few other luxury British carmakers have managed: consistent profitability. For 2015, the brand posted its third consecutive year of profits and this year he predicts the firm will double last year's sales of 1,654, driven by demand for the more affordable 570S. Flewitt has overseen a brisk succession of new-model launches to ensure that the company's single carbon-fiber architecture and turbo-charged V-8 engine stay fresh.